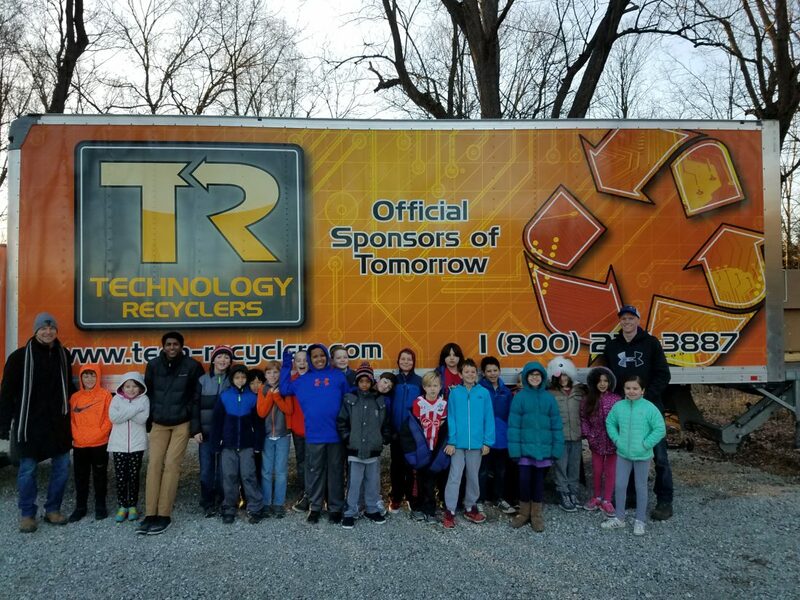 Technology Recyclers, We say we are the official sponsors of tomorrow. Well on 3-24-17 we had a chance to show that with our work and associations. We had the pleasure of partnering with The Orchard School 3rd and 4th grade young Green Students. This amazing program on the west side of Indy teaches these kids about The earth, Sustainability and E Waste. I was pleased to learn this program exists, but this story is more amazing as it plays out. They have an awesome teacher leader in Nate Mylan, sure, I get that. But then they have a Teacher of these kids named Jay Maturi. Jay has been a friend of TR’s for 3 years now. Ok, so jay knows a lot about E-waste, and Cares about his world, so he has written a lot about E-waste, and has even written a curriculum for younger students,that he teaches. Oh sorry, I forgot to tell you that Jay is a Junior in High School. in the time we have known him, he has held 3 recycling drives, that he co -ordinates with us and local Schools. The next one is on 4-22-17 at the University High School. In the coming Months, I am going to open this blog to Jay Maturi, our student leader – hero, and as we feel his passion aobut saving this earth, I am sure we will learn many things from him.